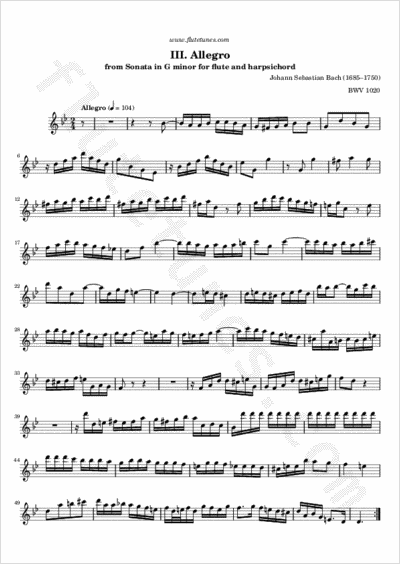 Here is the third and final movement of the Flute Sonata in G minor traditionally attributed to Johann Sebastian Bach. This last movement is marked “Allegro” just like the first movement, but it is usually played a little bit faster. It is characterized by a rather peculiar repeated-note motif, which is introduced by the harpsichord at measure 36, and which is then taken up by the flute at measure 42.